At Pledge 1% our mission is to encourage entrepreneurs and companies to give back to their communities through the donation of equity, product, profit and time to non-profits. We launched this program less than a year ago we already have over 1,000 members of our community. And it’s growing quickly. As entrepreneurs ourselves we’re always looking for new and innovative ideas that help us achieve our mission. Today we’re announcing a major new idea in connection with SRS Acquiom, EscrowUP. 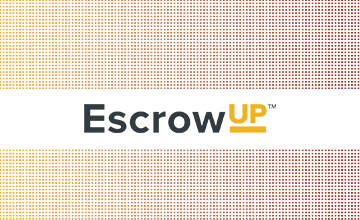 The idea behind EscrowUp is as brilliant as it is simple. When companies sell, buyers typically set aside a portion of the purchase price (often 10-15% of the total deal value) in case unexpected expenses come up. For simplicity sake these escrows are typically put in non interest bearing accounts (the accounting of the small amount of interest generated relative to the total deal value isn’t worth the hassle). Often this money sits in escrow for 18 months or more. EscrowUP is a program that places this money into an interest bearing account and directs that interest to charity. To be clear, the parties can still pick an interest bearing account if they’d like and the account can still generate excess interest for the program. It’s a win-win for everyone to participate and all managed by SRS and Pledge 1%. EscrowUP supports nonprofit organizations that help emerging entrepreneurs, including women, veterans and those in emerging markets, gain access to mentors, skills, capital and the tools they need to thrive. These nonprofits are listed at the end of this post. I’m incredibly excited about this idea and the impact we can have across these important non-profits. I hope you’ll help me spread the word. Since 2000, Springboard Enterprises has served as a resource hub of influencers, investors and innovators engaged in helping women build big businesses. Endeavor helps entrepreneurs in emerging and growth markets gain access to mentors, capital and human resources so they can take their businesses global. Patriot Boot Camp (PBC) equips active duty military members, veterans, and their spouses with the education, resources and community needed to be successful technology entrepreneurs. Girls Who Code works to educate, inspire and equip young women with the skills and resources to pursue academic and career opportunities in computing fields. Pledge 1% empowers founders and entrepreneurs around the world to integrate giving into the culture and values of their companies. We would love (LOVE LOVE) your help getting the word out about this idea. The more people know about it, the more money we’ll generate for non-profits. Here are some Click to Tweets to make this easy for you. But feel free to write your own copy if that feels more natural.